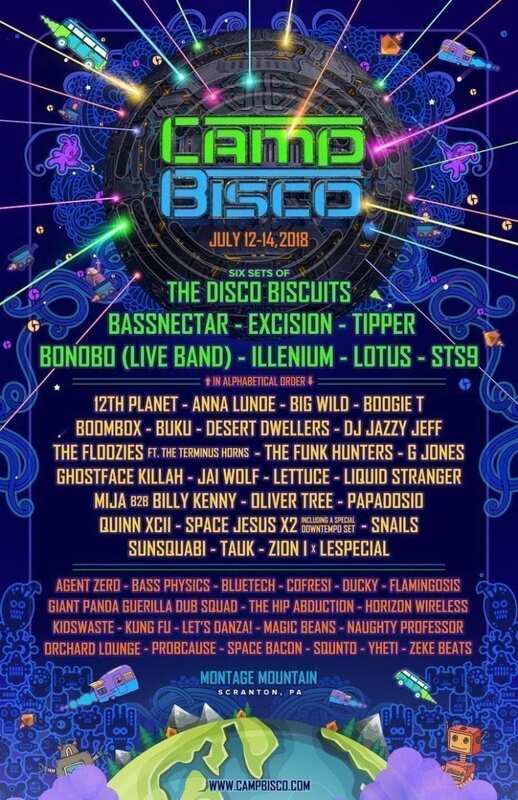 Camp Bisco returns for its 16th year. The music festival hosted by the Disco Biscuits takes place once again on Montage Mountain on Thursday, July 12 to Saturday, July 14, in Scranton, Pa. 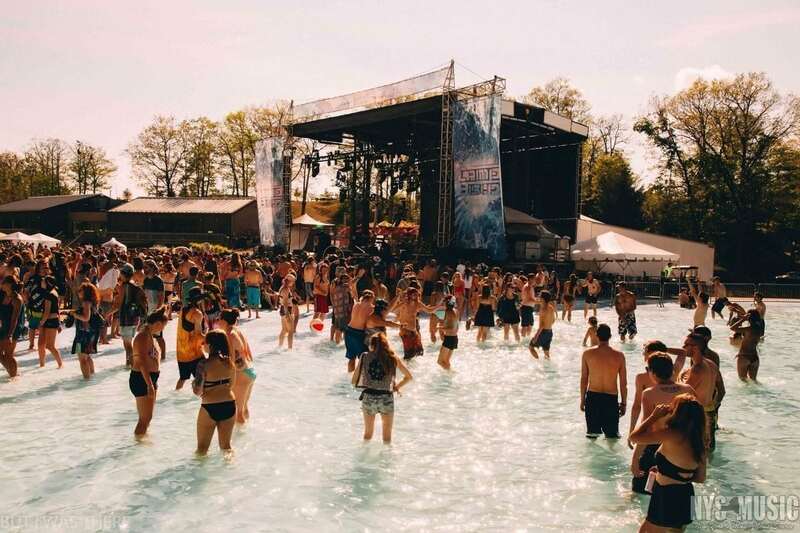 It will be the festival’s fourth consecutive year at Montage Mountain — which includes a waterpark and camping grounds for festivalgoers. The Disco Biscuits headline the three-day event, and the festival continues to book the biggest names in EDM and jamtronica. Headbangers and bassheads can rejoice there will be no shortage of bass at this year’s event. Bisco staples such as Bassnectar, Tipper, Lotus and STS9 return to headline once again. 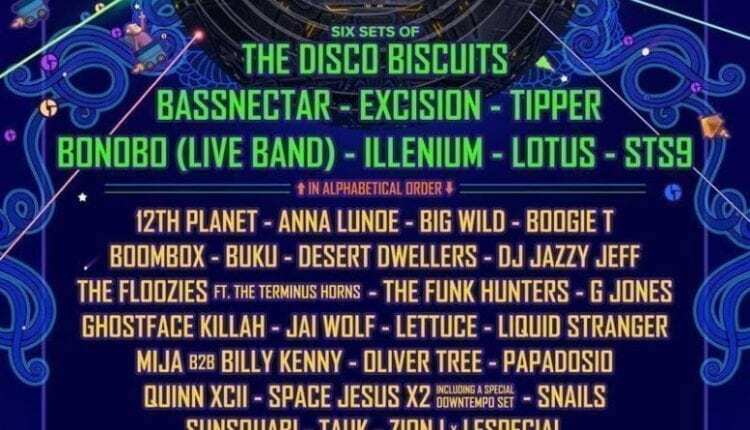 Excision and Illenium will also headline along with Bonobo, which will include a live band. More bands included are: 12th Planet; Anna Lunde; Big Wild; Boogie T; Buku; Desert Dwellers; DJ Jazzy Jeff; The Floozies (ft. the Terminus Horns); The Funk Hunters; G Jones; Ghostface Killah; Jai Wolf; Lettuce; Liquid Stranger; Mija (back to back) Billy Kenny; Oliver Tree; Papadosio; Quinn XCII; Space Jesus X2 (including a special downtempo set); Snails; Sunsquabi; Tauk; Zion I x Lespecial. Also making the trip to Montage Mountain will be: Agent Zero; Bass Physics; Bluetech; Cofresi; Ducky; Flamingosis; Giant Panda Guerilla Dub Squad; The Hip Abduction; Horizon Wireless; Kidswaste; Kung Fu; Let’s Danza! ; Magic Beans; Naughty Professor; Orchard Lounge; Probcause; Space Bacon; Squinto; Yheti and Zeke Beats.